When you visit out brewery you will definitely want to take home some fresh brew. Protect your head and look good with the Shoe Tree truckers hat. Black hat with white embroidery. This is an American Apparel T-shirt with various colors to choose from. This is a super soft, quality shirt with discharge ink. This shirt will definitely become your favorite. 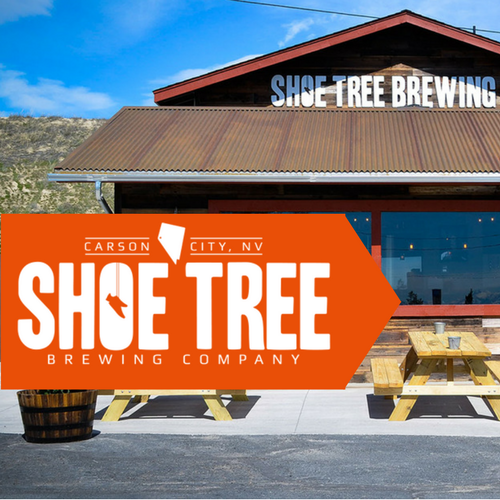 Make a statement that you only drink great craft beer with our Shoe Tree pint glass. You can also pretend you’re at the Shoe Tree taproom while you’re at home. Keep the old noggin warm in the winter. The Shoe Tree skull cap is black with white embroidery. Just like the men’s version but a women’s scoop T-shirt. This is an American Apparel T-shirt with various colors to choose from. This is a super soft, quality shirt with discharge ink.